These rankings are based on XC & track performances in 2011-12, and more so on 2012 XC performances to date, particularly in head-to-head competitions. They’re intended to project where individuals will be at the end of the 2012 cross country season. Comments are encouraged. They’re playing the theme song to the Magnificent Seven out in Waimea as Coach Michael Franklin has his dream team back for another season. 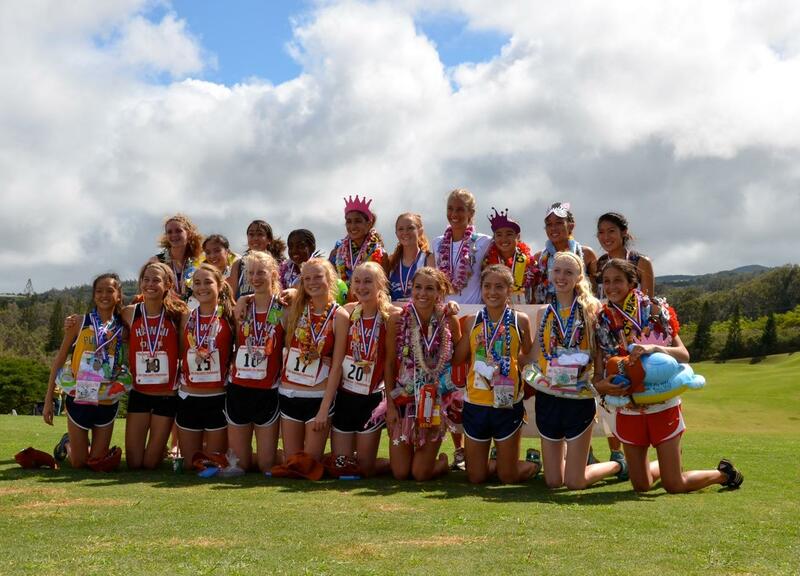 Franklin the head coach of state cross country team champions Hawaii Preparatory Academy is fully loaded as they return all seven girls. 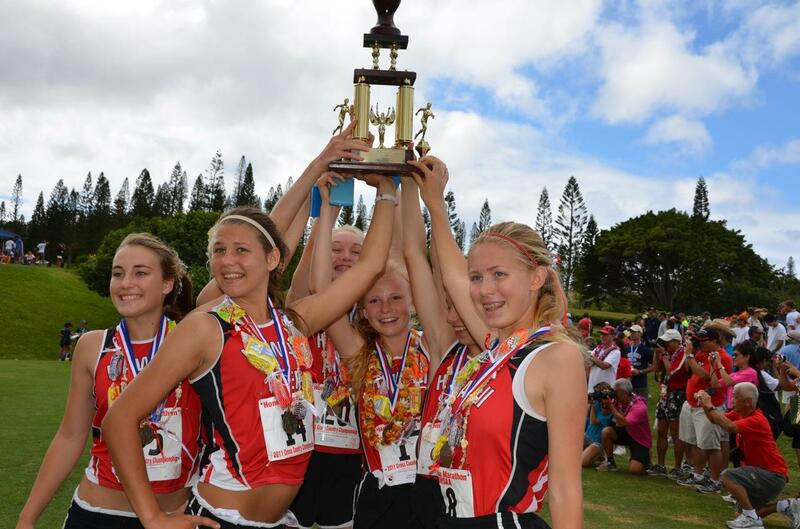 Ka Makani harriers in order of their state finish are Kristiana Van Pernis, Mariah Haight, Zoe Sims, Emily Evans, Kelly Ulrich, Veronica Ladwig and Cat Bradley. 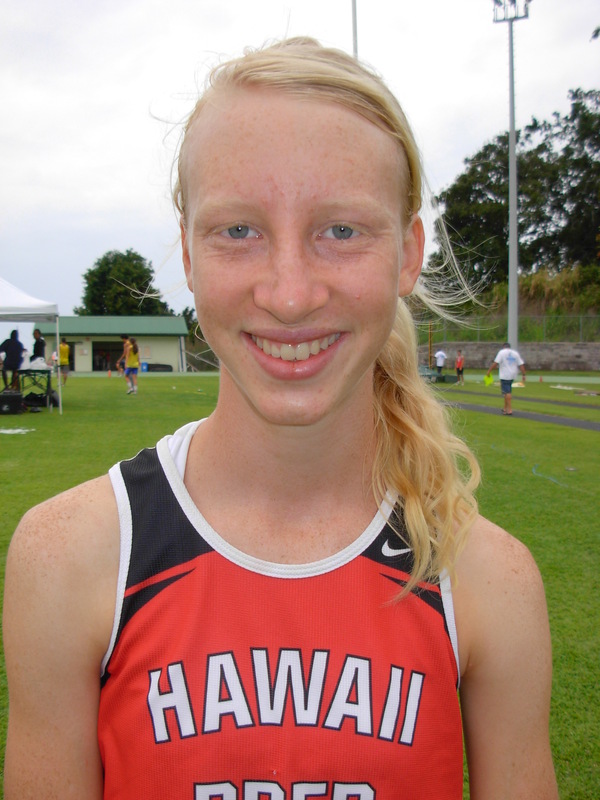 HPA had five girls in the top nine at states which included Big Island Interscholastic Federation champion Zoe Sims for a total of 35 points beating out Punahou with 50. HPA’s boys under coaches Kimo Higgins and Lupe Diaz will need to adjust because of the numerous seniors lost to graduation. “We are very excited about our prospects this year,” Higgins said. According to Higgins they have a balance between local runners with a strong contingent from Japan. Five time boys BIIF champions Honokaa aren’t as lucky as their head coach Josh Abner has left for a job in Kentucky leaving Jerri Moniz as the new head coach for the Dragons. If her last name sounds familiar it is because her son, Chayce, won the BIIF individual title last season. On the girls side the Lady Dragons have Haldhang Adona and Kelly Greenwell returning. “I worked with Coach Abner over the years and I plan on following his program,” Moniz said. Christian Liberty Academy is coached by long time harrier instructor Frank Grotenhuis. CLA didn’t have a girl’s team last year, but had a good preseason turnout and as a result had 8 girls come out this year. Hilo boys return Stephen Hunter, Max Panoff, Max Kerr, Timon Skinner, and Israel Sims according to Coach McMahon. “We have others that have joined the team over the summer and have worked hard to create a close knit team,” McMahon said. Joining the Vikings during practice is St. Joseph star Andrew Langtry. 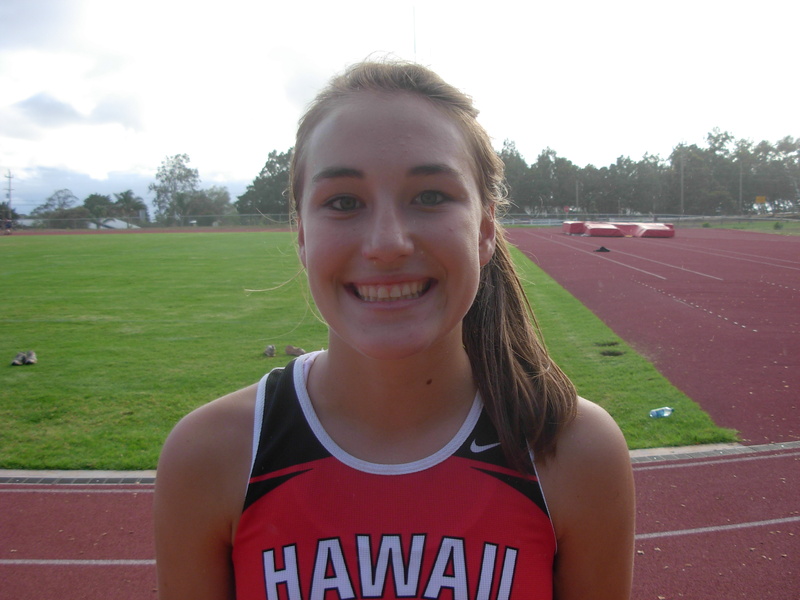 Makua Lani – Coach Doug Andrews is in his fourth year and he returns five girls from last year’s team. Junior Joy Choe, Sophomore Keili Dorn, Seniors Tiffany Nakamura and Mercedes DeCarli. “Joy has qualified for the state meet 2 times, Keili qualified as a freshman and Tiffany is a 3 times state qualifier. If our girls work hard and run for the right reason, they have a good chance of being in the top 4 teams at the BIIF meet,” Coach Andrews said. Andrews girls team finished third in the BIIF during the 2011 season. For the boys Andrew Crietz returns as a junior and Josh Kuperus as a sophomore. 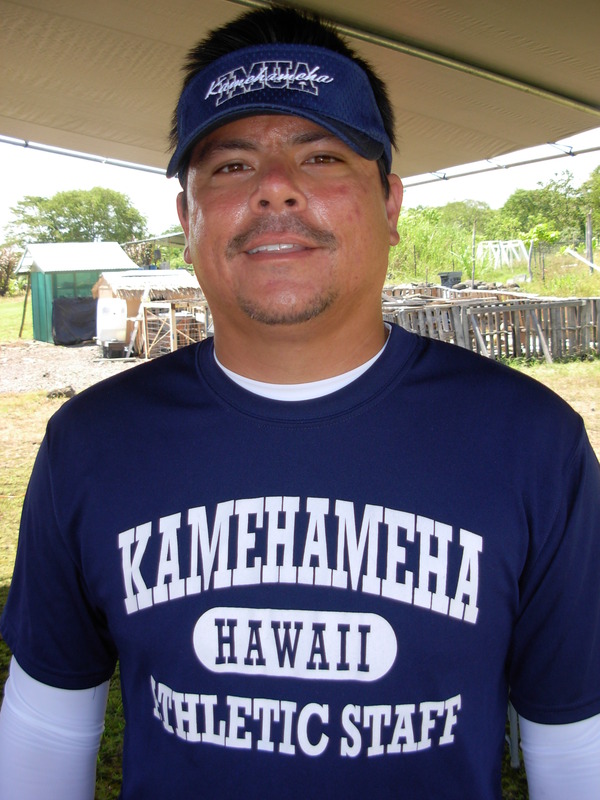 Kamehameha has veteran coaches Ryan Cabalse for the boys and Joel Truesdell for the girls. For the girl’s team they have three girls returning that ran in the state meet last year. They are Tiana Iwata, Mikela Cabel and TeHani Jones according to Truesdell. Garson-Shumway was the first female overall in the Vulcan Women’s 5K with teammate Sabado-Halpern taking second which make for a great one-two punch. “Our goal for both teams this year is to create a strong team bond, a love for running and have both teams qualify for the State meet,” Coach Hunter said. 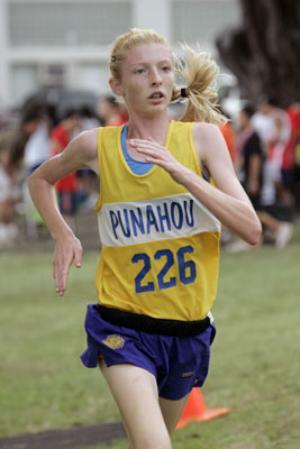 KAU – The Trojans were still looking to hire a cross country coach according to their Athletic Director Kalei Namohala. 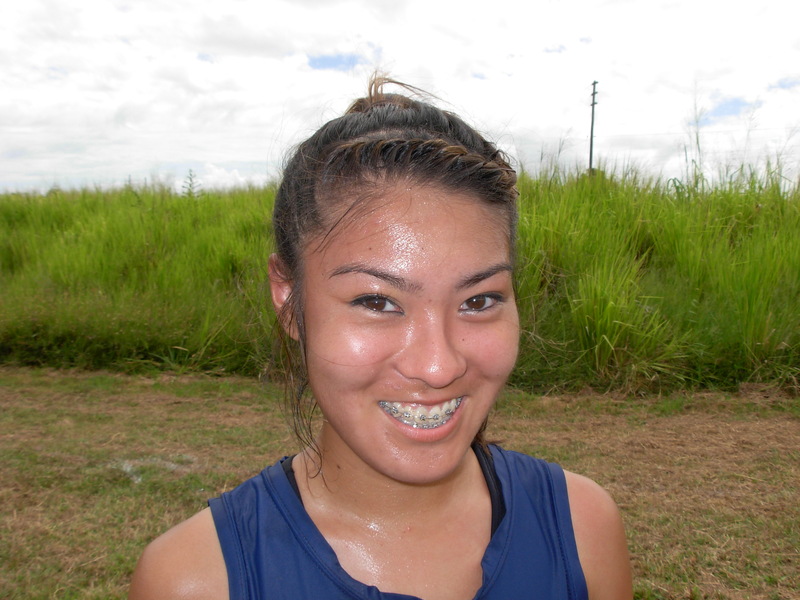 Keaau has a huge team of 60 runners for the boys and girls, according to Coach Donna Wong Yuen. The Cougars return Natalie Hagemann for the girls and Jeffrey Ferrell, Ariel Navarro and Davin Alviento for the boys. 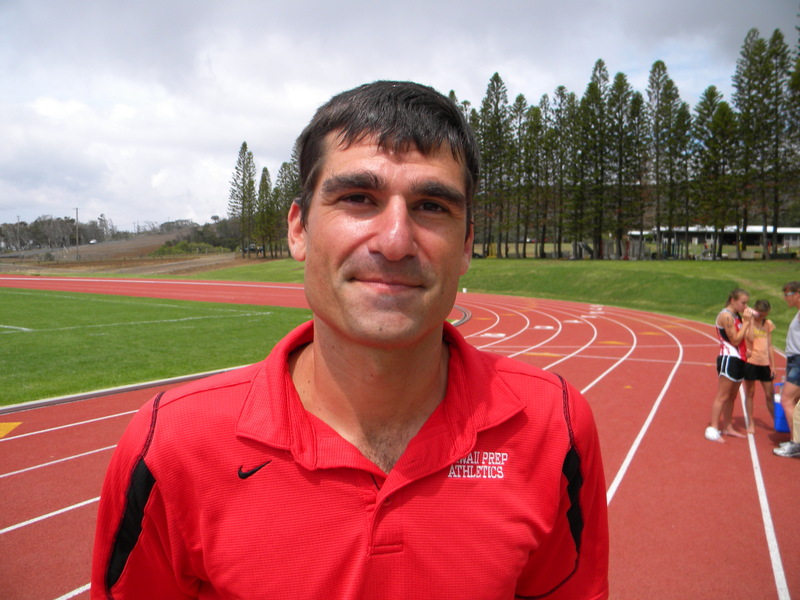 PAHOA – Coached by John Oliver who has been coaching Dagger harriers for 5 years. 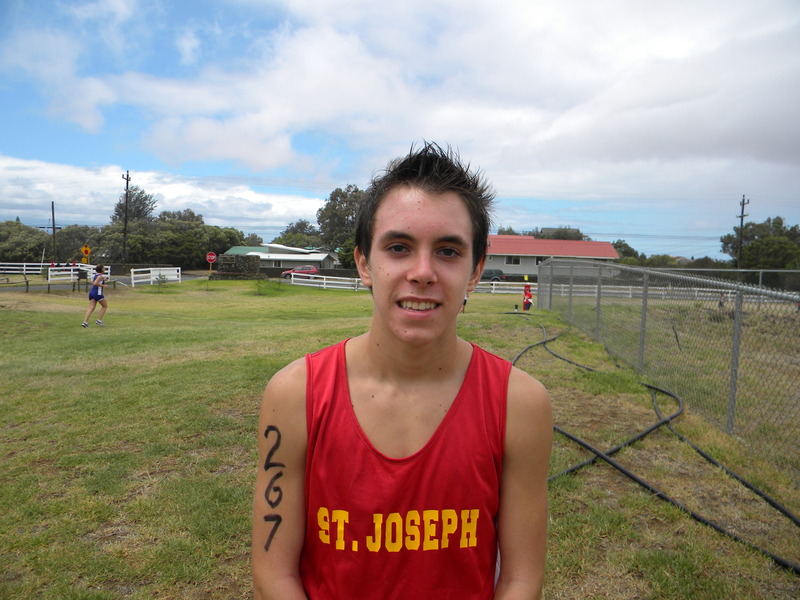 Oliver has no girls and 8 boys that came out to run for the cross country team. PARKER – The Bulls Athletic Department is headed by cross country coach, Ceri Whitfield who is a five year veteran. Whitfield boy’s team is led by Paul Gregg and Tyler McCullough who both ran in states last season. While carrying 18 boys and 6 girls the coach has them shooting for the stars. KEALAKEHE – Third year Coach Arturo Morales has 13 boys and 7 girls on his squad. 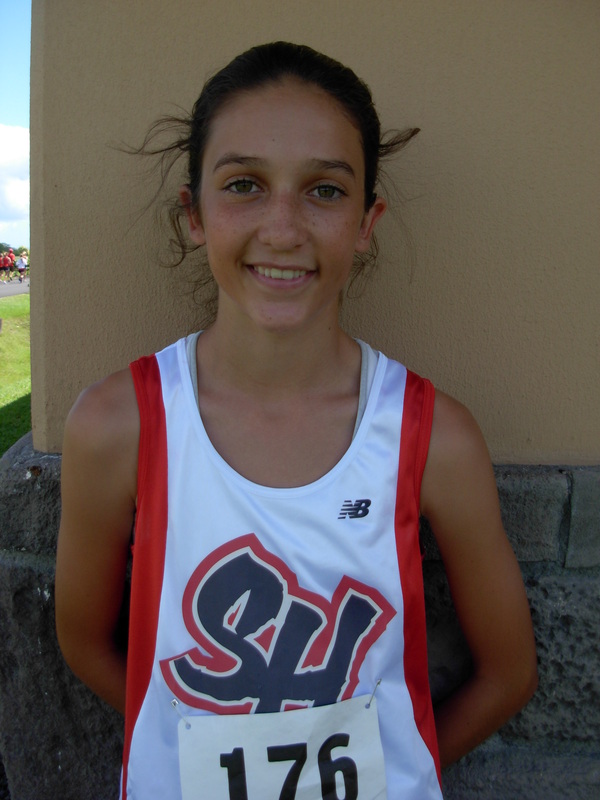 Returning for the girls is Kari Van Mols who was 15th in the state last year. Also for the Waveriders are Sydney Kirkhill and Mika Bettencourt. “For our boys team we hope to finish 2nd in the BIIF this season,” Morales said. 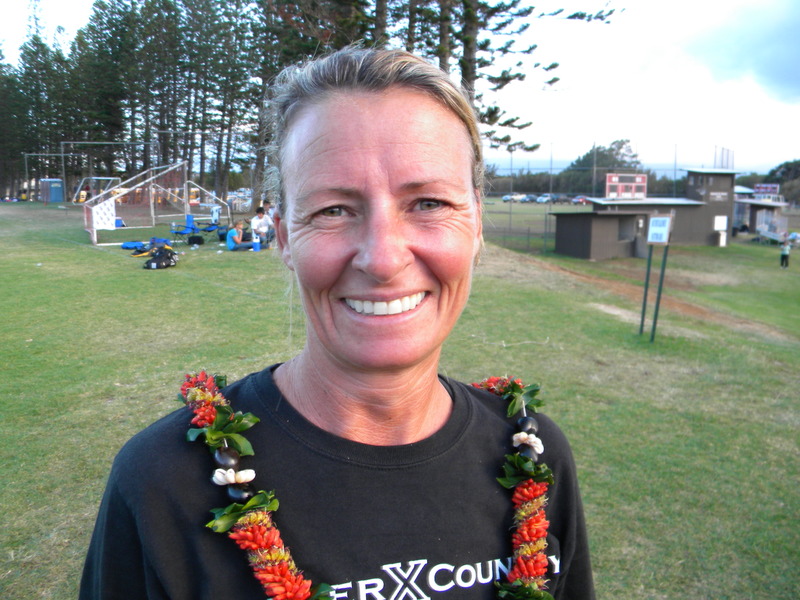 KONAWAENA-both the boys and girls teams are coached by Kuulei Saole in her fourth year with the Wildcats. “We currently have 4 girls and 3 boys,” Saole said. The Wildcats return sophomore Shayli Nakamoto who made it to states last season. 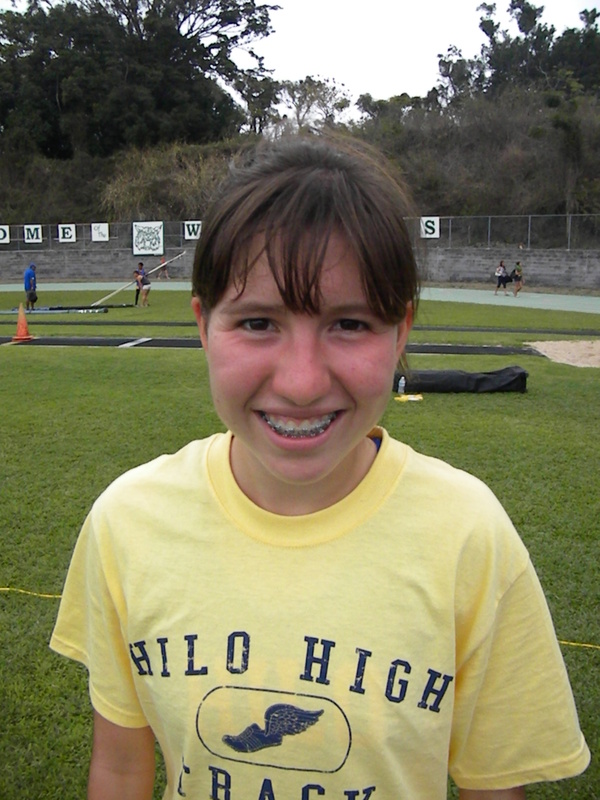 “My main goal this year is to get more girls and boys to come out for cross country,” Saole said. Waiakea with boys coach Jordan Rosado return Ian McQuate, Dyson Sato, Nate Parez, HaJime Hayano and Keoni Rice. Rosado might have one of the best runners in the league in McQuate who finished the Vulcan 5K as the top high school runner and looks to be in prime preseason shape. For the Warriors girls its Coach Winona Hai-Kelly returns Sky Ombac, Jillian Hughes, Vandey Okinaka and Haley Rasse. “The fight this season will be for second place between Hilo and us,” Hai-Kelly said. The Big Island Interscholastic Federation season kicks off with the Cane Fire Conditioner at CLA starting at 10 am on Saturday August 25.